So festival season is just around the corner, yay! Festivals are always great fun and I’m so sad that I won’t be able to attend any this year. So I've been cheering myself up (or torturing myself) by looking for perfect festival outfits online and I thought I would share a few of my favourites with you guys. Hopefully they will give you some inspiration if you are heading to a festival this summer. I’ll leave all the links to everything I include so you can check them out. Note: I won't be including shoes in these outfits as you practically live in wellies at festivals. I actually have this matching lace top and shorts from H&M and they would be perfect for a festival as they are really light and comfy. The shorts are very short be warned, they don’t show off my bum but it’s a close call so proceed with caution. Pair the set with a novelty backpack and a tonne of bangles and you’re good to go. Wear with an oversized denim shirt if it gets colder. As anyone who has ever stepped foot in Britain knows, the weather can be unpredictable. 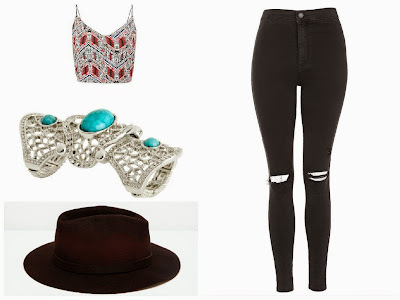 This outfit will be perfect is the weather is a bit chiller or of you aren’t comfortable baring your legs. Just team with a hat and a fistful of rings. Embrace your inner hippy with this gorgeous patterned playsuit, add a fringed bag to further the hippy vibe and add some heart glasses for a cute look. This dress is absolutely gorgeous and will look great if it’s a bit colder or if shorts aren’t your thing. 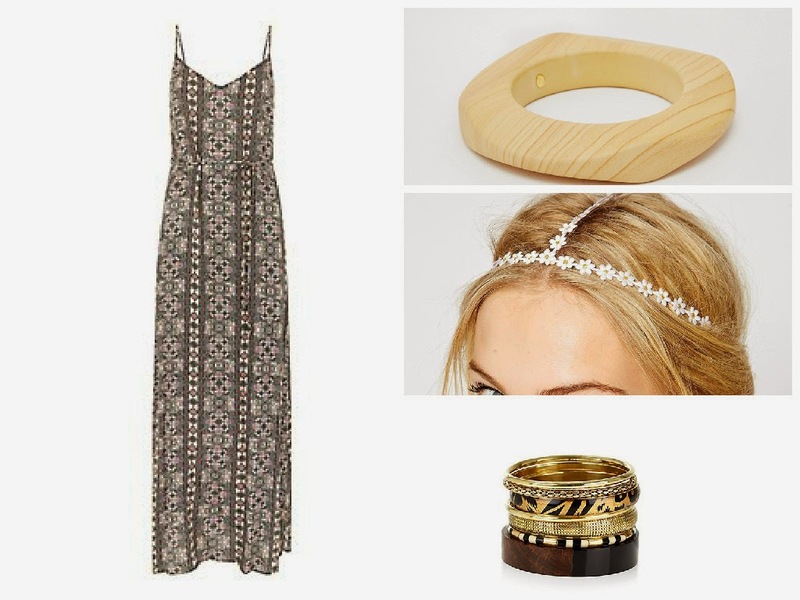 Maxi dresses look great at festivals just add some statement jewellery and a flower crown. I hope you enjoyed these outfits and have got some inspiration from them. What festivals are you heading to this year?